The evidence is clear: Daylight is the best light. 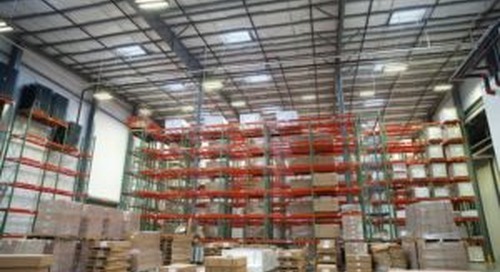 However, architects and facility managers seeking to reap the benefits of daylighting must do more than carve a few holes in the warehouse, school or store roof and install skylights. 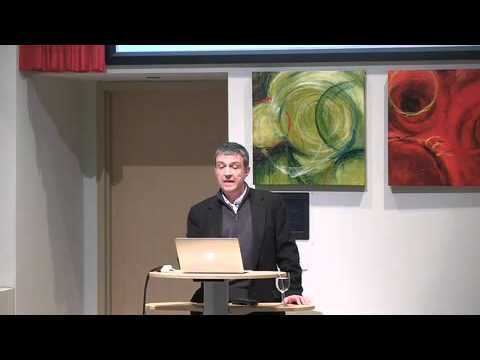 To get the full picture, they need to consider a number of factors, among them VLT, U-Value and SHGC measurements, along with the ASHRAE 90.1 requirements for their locale. 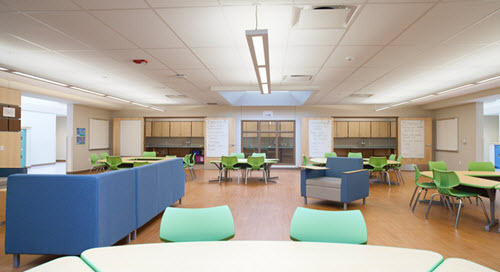 If that bevy of daylighting acronyms and code requirements is foreign to you, it may be time to go to school. 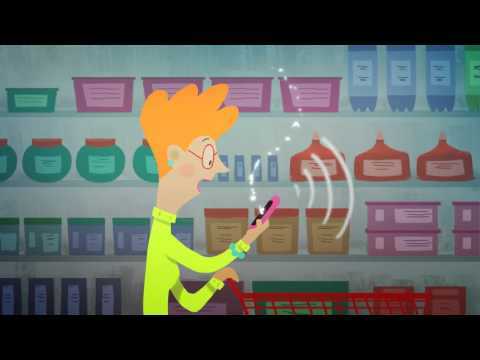 (Don’t worry … it’s free). 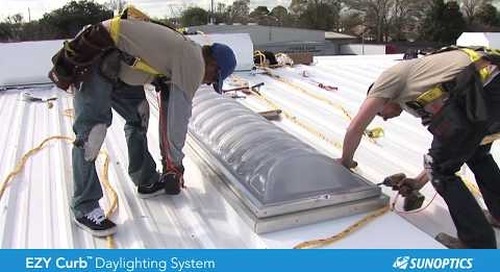 Grab a cup of coffee and enjoy this Daylighting 101 video that covers the trends, terms, regulations, benefits and benefits of sustainable daylighting solutions. 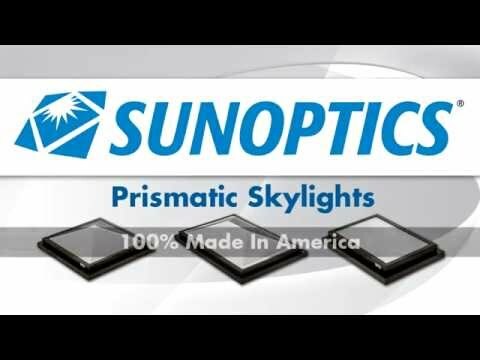 Click HERE to view the discussion, featuring our foremost authority on the topic, Pete Shannin, Vice President & General Manager of Sunoptics® High-Performance Prismatic Skylights and Daylighting Systems. Quality. 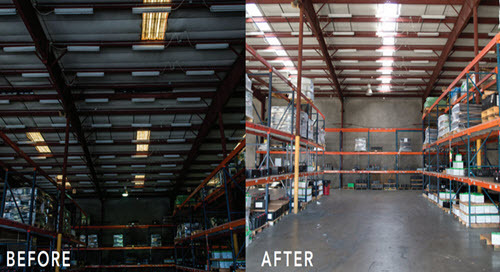 No electric light can match the quality of daylight, which provides a CRI of nearly 100, and without any flicker. Human effect. 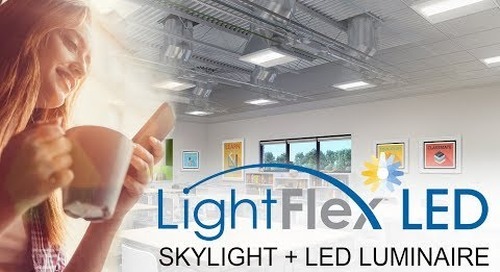 Daylighting’s quality fosters a number of human benefits, among them: improved productivity, support for the body’s natural circadian rhythms, and decreased absenteeism. 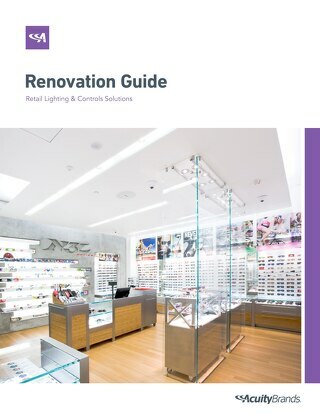 Also, in retail settings, studies reveal that sales rise in showrooms imbued with daylight. Sustainability. 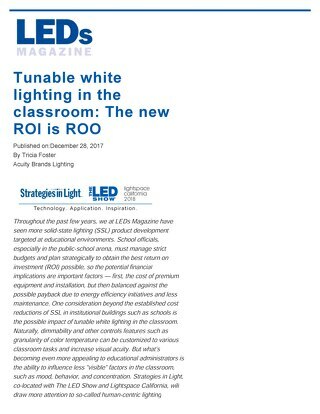 Those eager to make facilities “greener” will appreciate the energy-saving sustainability of daylighting. 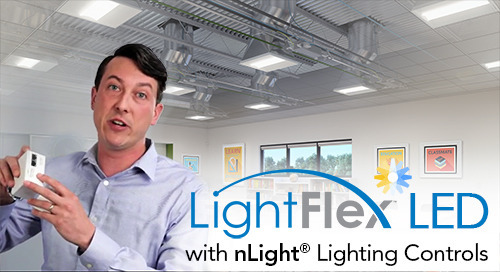 Pete goes on to discuss how we’re the only company to offer a comprehensive, single-source daylighting solution – a customized package that includes skylights and lighting control systems, complemented by a broad portfolio of energy-efficient LED luminaires. 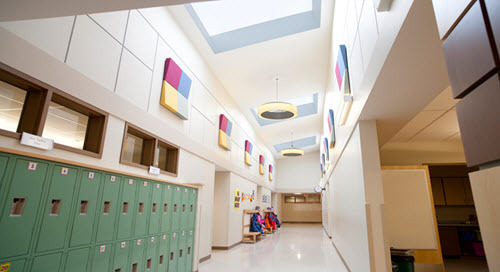 Signature™ Series, a high-performance prismatic skylight that captures (and diffuses) more light at low sun angles than any other skylight on the market. 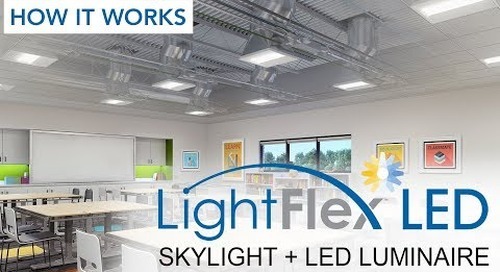 LightFlex™ CCT, the industry’s first tubular daylighting system that can color-shift cool-white daylighting to warm-white to provide color uniformity within shared applications with 3500k LED luminaires. 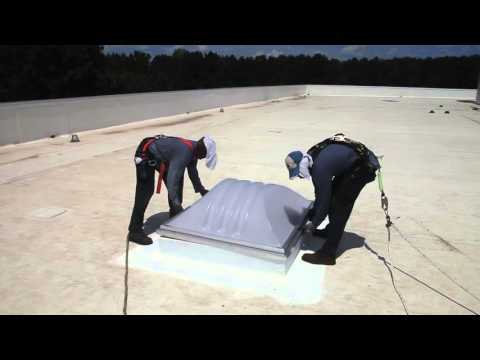 EZY Curb™ Modular Daylighting System for metal roofs, which is ideal for renovation projects. 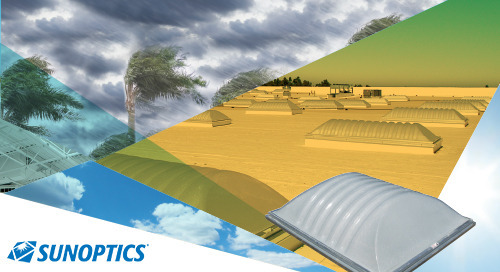 Its long-life properties often mirror the life of the metal roof system. 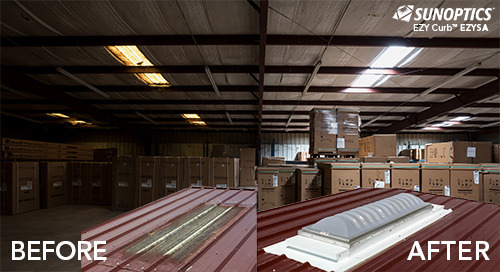 Featuring the Signature™ Series skylight, it’s an ideal replacement for inefficient, poor-performing fiberglass-panel skylights that are prone to leaking, discoloration and poor light diffusion. 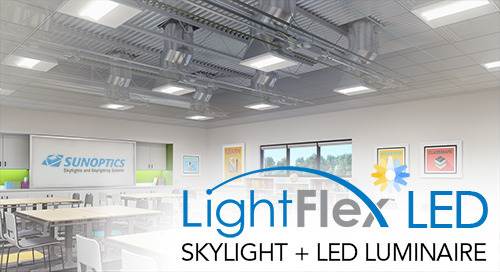 And we offer a wide range of daylighting design support services, including AutoCAD®, SkyCalc daylighting energy analysis, and our own proprietary Visual® software. Also, BIM models, CSI spec sheets and a whole host of design information are available on the Sunoptics website, and via ARCAT, a free design service for architects. 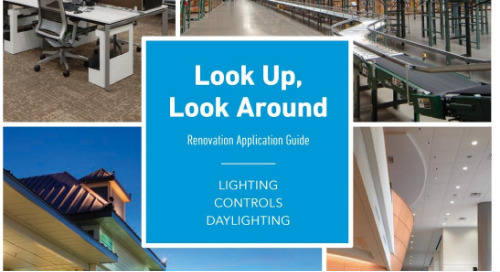 Want to shed more light on daylighting? 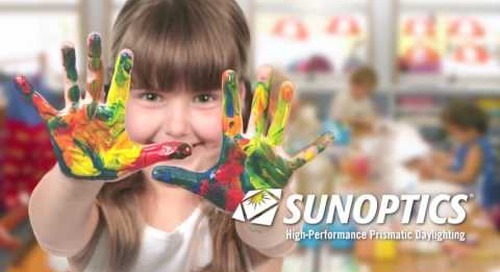 Visit www.sunoptics.com, and be sure to check this blog regularly for more!